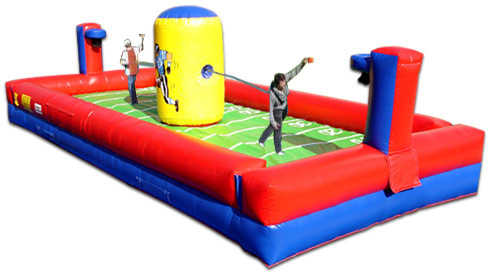 The First N' Goal inflatable two person game is a fun way to entertain your party guests. 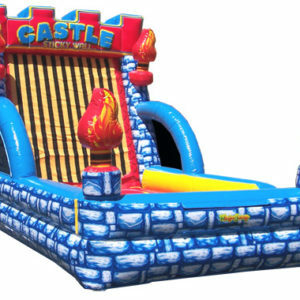 The First N’ Goal inflatable two person game is a fun way to entertain your party guests. Two opponents are connected with a rope as they each try to land their ball in the goal. This interactive unit will be a great addition to your sports-themed event! 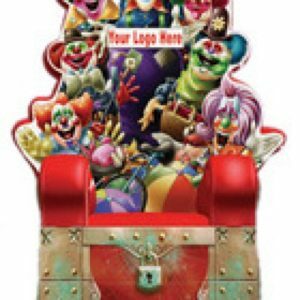 Price includes installation, delivery and pickup.